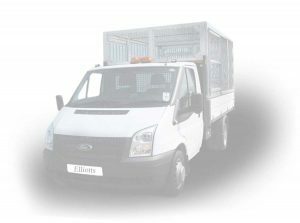 Elliotts Waste Clearance have been in the waste trade for over 12 years. We collect all types of waste including domestic and commercial items, building works, garden work, small demolition works, and house clearance. We also collect metal for no charge. Based in Gosport, we also cover the areas of Fareham, Lee on Solent, Titchfield, Stubbington, Wickham and Hill Head. As a responsible waste removal company, we are registered with the Environment Agency and respect all laws and the environment. You may get a cheaper quote for rubbish removal elsewhere, but by choosing Elliotts you can rest assured your waste will be responsibly recycled and you will be issued with an official waste transfer note. If you need your waste or household items cleared, please give us a call today for a free no obligation quotation. We are based in Hardway, Gosport, and cover all local Hampshire areas.